How Chess Ideas to be developed? Take a time of 15 minutes. Select five positions simple, difficult and complex. Set up the first position on the board and find the right move, play it. Later on set up the next position on the board and play the right move. Then next position is set up and so on. All five positions have to be solved within 15 minutes. 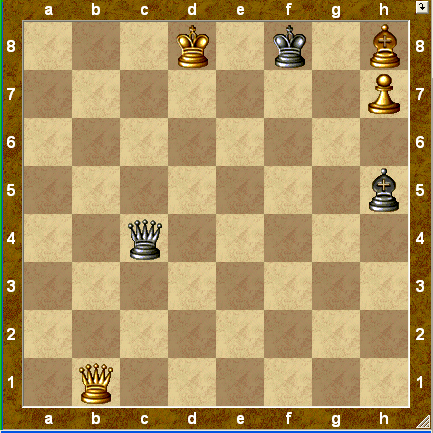 If you have solved all the five moves correctly you won otherwise you have suffered greater or lesser defeat. The same can be done in different way. Increase your time limit to 20 or 25 minutes. Play the same way as before, except that if you get an answer wrong, your clock is put forward by one third of your original thinking time. To succeed in this series , you have to get through the positions without overstepping the time limit. As you will have grasped, under these rules you can ‘win’ even if you make one mistake. You can hardly win with two mistakes ( You would be left with too little thinking time), and with three mistakes a win is logically impossible. Such practice improves your intuition, Your capacity to grasp both the tactical and the strategic details of a position quickly and reliably. It cultivates your thought processes. It nurtures the habit of instantly picking out available ‘candidates’ moves as well as the opponent’s main threats, Without this you cannot achieve success with limited thinking time, mistakes will be inevitable. It increases your resoluteness. There is simply no time for an exhaustive scrutiny of variations – you have to ha ve confidence in yourself and take decisions boldly. It helps you to combat time trouble, since you continually have to regulate your time expenditure. It get you into good competitive shape before an tournament. It enhances your reflexes and speed of thought; there is no chance of emotional fatigue setting in, as the game is lively and exciting. 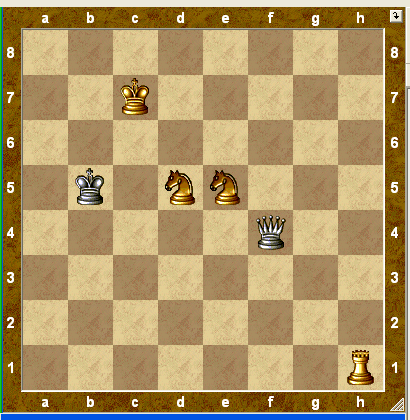 Start Collecting five positions daily and solve within 15 minutes and improve your chess ideas. B) But the rook move to d1 seems to be more attractive. 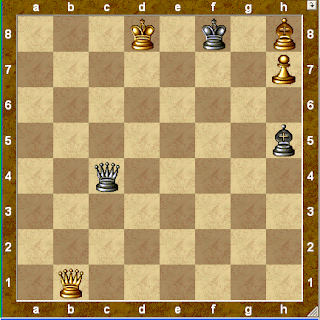 C ) White must attack the queen with the other rook. 18 Rcd1 ! Qe8?! Rd7+ Kg6 20 Nxe4 e5 21 Nxc5 Rx c5 Rxc7 22 Kxg7 23 Qxa7+ White wins his rook back and emerges with two extra pawns.